Xfce is a free and open source desktop environment which features a visually appealing and intuitive user interface designed for productivity. The Xfce desktop environment consists of a number of components providing all functionality expected from a modern desktop environment, including a session manager, panel, application launcher, desktop manager, file manager, settings manager, and a window manager with compositing. Many components remain optional and/or may be exchanged for alternatives. In addition to the core components the Xfce community provides numerous applications, utilities, and add-ons such as a terminal emulator, task manager, media player, panel plugins and file manager extensions. 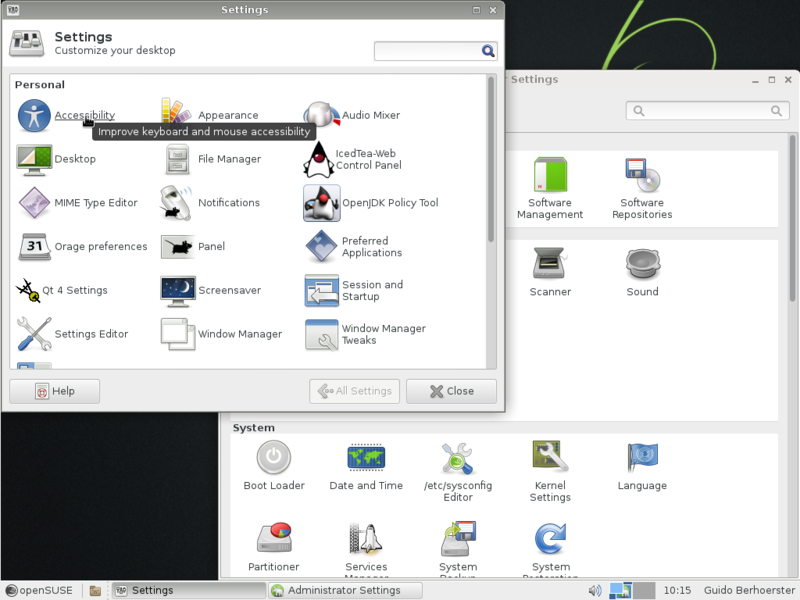 The Xfce desktop is a well integrated and fully supported part of openSUSE. For more information about Xfce visit its website. The Xfce desktop can be installed from the installation DVD or NET images. Alternatively, openSUSE Tumbleweed can be tested and installed with Xfce in live mode. ISO images are available here. opensuse-xfce@opensuse.org - Discussion about XFCE in the openSUSE distribution. opensuse@opensuse.org - Generic questions and User to User support for the openSUSE distribution. This page has been accessed 118,247 times.